The Moon is our closest celestial neighbor, and while the Moon is much smaller than the Sun, it is massive enough to strongly affect the Earth and its inhabitants in many ways. In terms of gravitational force, the Moon exerts two and a half times the gravitational pull of the Sun. The Moon cycles affect the Ocean's tide as well as our emotions. The phases of the Moon create energies that affect us perhaps as much as its gravitational pull does. Understanding Lunar Cycles is key for optimizing manifestation , magic, and in staying centered in our ever changing and ascending world. A complete lunar cycle takes about 29 1/2 days to complete. The cycle begins with a New Moon, where we see the total absence of the Moon in the night sky. The Waxing or the increasing phase of the moon follows as it grows into a Full Moon. From this point, the moon decreases in size during the Waning phase of the moon. The cycle is complete with the Dark Moon or when no moon is visible. The New Moon rises at sunrise. The First Quarter Waxing Moon rises at noon. And the Last Quarter Waning Moon rises at midnight. The New Moon, Full Moon and Dark Moon are all important stops in the Moon's monthly cycle. These powerful days can be used for special workings, and increased manifestation. The New Moon is the beginning phase of the moon, when the light of the moon is not visible from Earth. This is because the side of the moon that is illuminated by the Sun, is not facing Earth. New Moons are a time of new beginnings and they represent the youthful aspect of the Goddess… bringing youth, change and a fresh start. New Moons are great times to set intentions, move, or start new projects, new careers, relationships, or any new venture in life. The New Moon introduces the Waxing Phase of the Lunar Cycle, as the Moon will increase from this point. When the moon once again begins to show its light to us on Earth, we enter what is called the Waxing Moon. This is the perfect time to direct your focus on things that you would like to have grow, as the Moon also begins to grow towards fullness. The best time during the Waxing Moon to start a new venture is the day that the first sliver of light shows after the New Moon. This Crescent Moon is called Diana's Bow. It is named that after the Roman Goddess of the moon and the hunt, Diana. The Full Moon is the culmination of the Waxing or increasing phase of the moon. It is very easy to see when the moon is full since it appears round and bright in the sky. The Full Moon is a time of great power since the moon is at the height of its strength, marking a fullness of metaphysical power. This is the time to do any magical work that involves reaching its fullest potential, growth or celebration of abundance. The full moon represents the mature or mother aspect of the Goddess… embracing wisdom, maturity, nourishment, creativity, and fertility. This is an excellent time for protection and divination. 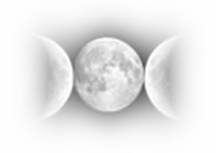 After the Full Moon, the Waning Moon or decreasing phase begins. This is the period, where the moon grows smaller. The Waning Moon phase is the time for release or the removing of things that no longer serves you. As the moon fades away so can any bad habits, toxic people, debt, illness, etc. The Waning Moon is time for the casting out of old ways, old habits, and removing troubles and worries. The waning moon represents the Goddess in her crone stage. The Crone knows life's mysteries and has grown content with who and what she is. This is the time for release and letting go, ridding yourself of negative thought forms and habits that you've outgrown. The Dark Moon is the last phase of the lunar cycle. It is like a three day death of the moon, which is soon to be followed by the rebirth of a new lunar cycle. The Dark Moon appears totally dark in the sky or it may seem that there is no moon out at night. It occurs 3 days prior to the New Moon. This is the time for introspection and contemplation…for rest, for quiet, and for inward focus. The Dark Moon is also a time of healing, and is great for practicing methods of divination. The Dark Moon provides us with the opportunity to leave behind anything from the past that is no longer needed. 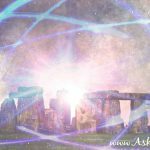 This is the time to prepare for new growth in the coming lunar cycle. Working with the cycles of the moon is a valuable tool for receiving effective results in your life. I hope this information is useful to you in working with the moon to your benefit. Can I know more about lunar cycle, it’s effect on our emotions, energies and the way to control it? 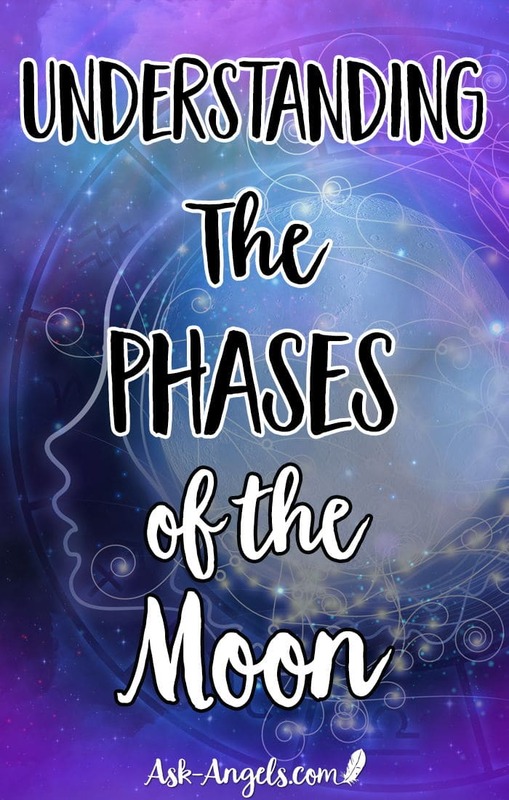 Thank you Melanie for the beautiful article.It really helped to understand the importance of different phases of the moon.